What is the Health Star Rating on food packaging? The Health Star Rating system is designed to provide all shoppers with a quick and easy way to understand nutrition information on pre-packed foods. The visual guide gives a snapshot of the nutrition quality of food products to make it easy for you to compare similar foods, and make healthier food choices. Who’s responsible for the Health Star Rating system and where did it come from? The Federal and State Governments of Australia and New Zealand endorsed the Health Star Rating system in June 2014 following a lengthy government-led consultation process with public health organisations, food and beverage industry representatives and consumers. The system will be implemented on a voluntary basis by manufacturers over the next five years. Products are ranked on a scale of 0.5 to 5 stars. The more stars a product gets, the healthier the choice. You can use the Health Star Rating to quickly compare similar packaged products, to see which one is the healthier option. So you can compare one breakfast cereal with another breakfast cereal, or one muesli bar with another muestli bar. The Health Star Rating is not meant to compare different types of foods. So, for example, it is not meant to compare a yoghurt with a packet of crisps. as well as values for the presence of any fruits, vegetables, nuts and legumes. Should all products have a Health Star Rating label? It’s up to each manufacturer to voluntarily put the Health Star Rating on their products. Some of the products that will not display Health Star Ratings include tea, coffee, non-nutritive condiments such as salt, pepper, vinegar and herbs, spices and foods for specific purposes, such as foods for infants and formulated supplementary sports foods. 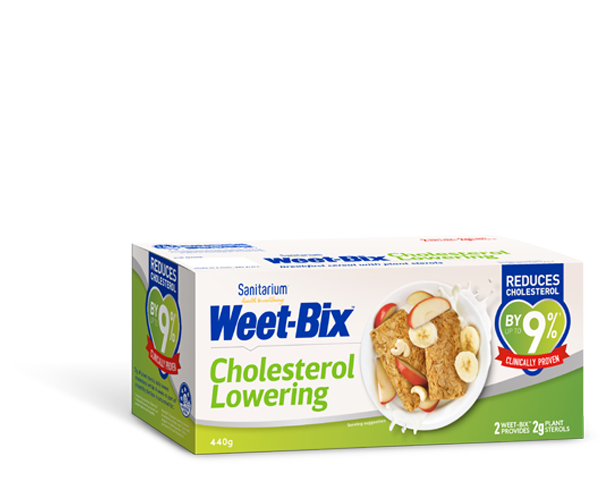 Does Sanitarium support the Health Star Rating system? We do! At Sanitarium, we’re committed to the health and wellbeing of all New Zealanders so we want to ensure the nutrition information on our products is easy to understand. Sanitarium was part of the working group associated with developing the system and was one of the first companies to publicly get behind it. We believe it’s a great way to help people understand the nutrition credentials of food products better, and ultimately make more informed, healthier food choices. Sanitarium is committed to the Health Star Rating system and is featuring the star system on packaging across its product ranges. We have more information on food labelling on our Reading Food Labels page. The Health Star Rating. Health Star Rating System. [Internet] 2014 [updated Dec 2014; cited 2016 April 21]; available from: http://healthstarrating.gov.au/internet/healthstarrating/publishing.nsf/Content/home.